We all know that SEO means big business. The SEO industry is projected to be worth $65 billion and is still growing. Since the early days of SEO, critics went on about how optimizing your website for search is not a fruitful endeavor. Estimates can rise and fall, but we all know that the industry is going to expand even further this year. Assuming that these estimates are spot-on, small business owners look for foolproof ways to achieve SEO Zen with the least amount spent. You must choose the best service in business and be able to pay a higher price because SEO requires patience. If someone tells you that they can make your site rank on the first page in a week, you should change ways. In the online era where customers search on Google about a company before buying, it is difficult for small businesses to show up higher in the picture. Keeping these possibilities in mind, we have prepared a guide which will help the young startup owner cover all the basics of good search optimization. The first problem with SEO is that people think it is one step on their way to launching a business. They will buy a site, start the business and then think about SEO. The mistake lies in the timing of SEO. You must begin SEO efforts the moment you think of creating a site for your business. If SEO was not on your mind when you first started a business, it shouldn’t be the last thing on your mind either. Get to work on your search optimization as soon as you finish going through our strategy guide. Let’s explore the keyword research process more since it has a significant role to play in your search optimization efforts. Keywords sum up your business online. Consumers start their research with a keyword entered into a search bar. You must be armed with the best and most valuable keyword for your site. It is a scary task to look for a keyword when you are a young business owner and starting out with SEO. The best way to begin is through brainstorming. Ask your team what comes in their mind when they want to search about your business online. These are valuable keywords which may turn up to be the keywords that define you. Put all these words in the free Google Keyword Planner. This tool is suggested because it pulls data directly from the source that is Google. Create an Adwords account which is free to make. The tool will tell you the average monthly search volume for each keyword. It also shows a list of alternative keywords that you can use. Based on these numbers, you can easily find the ideal keyword. When you start producing content, you must keep SEO in mind. Content marketing is a great way to pitch your keyword without getting lost. Writing search engine optimized copy is nothing less than an art. If you are creative, you can write the best text with an average keyword density. Write to complement your research and your ideal keyword. Create stories and beautiful content around your keywords that pass by as just another sentence. When writing, keep the target audience in mind. What does your target user want to read? What tone will they prefer? When you know who you are talking to, it is easier to form a solid copy. Another important aspect of writing content is headline + sub-headings. 80% readers on your blog will read the headline. The headline is like a billboard. It attracts people towards your article. Online readers can quickly skim over an article if the headline is too boring. Best headline writing tip is to keep your USPs (Unique Selling Points) in mind and deliver them as creatively as possible. 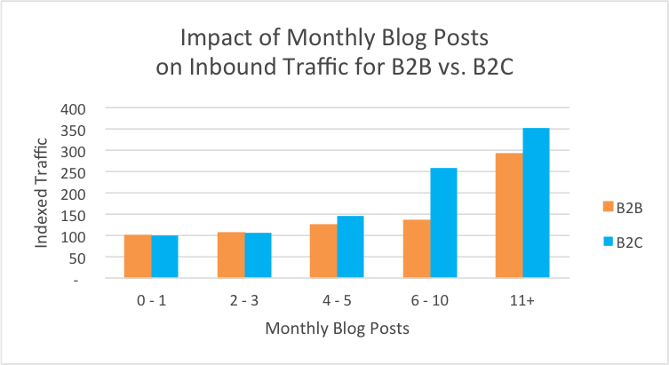 The importance of regular content posting can’t be summarized in words. You must come up with a gameplan to post content regularly. It is not necessary to post every day. Regular means you stick to a schedule, and you deliver it. Many people start with one post a month, going to 2 posts a month, one post a week and so on. Choose a rhythm that suits you. Make a content calendar to keep up with an upcoming deadline and bank few content pieces in advance. You can see that this frequency of content drives more traffic to the site and lets Google knows that you are serious about your business online. Creating regular content also means that new pages are being added to your website regularly. Don’t buy links and look for shortcuts. The best way to accomplish SEO success is through organic content pulling and traffic building. Content strategy is a diverse topic which needs a post of its own. For beginners, invest in a content division even if it is a single person who does the research work. Here are some out of the box content marketing techniques. The most basic requirement of SEO is to amp up the on-site elements. You keep in mind relevance and importance while optimizing for search. Google will rank a page and show results according to how useful, and relevant your information is to the searcher. Make your on-site SEO look tremendous and earn more ranks. Following are the primary areas to fix. The title of your page must be between 55-70 characters. Adding keywords to the page title is a must. Even if we forget about what Google says, meta descriptions help users by clicking on an ad/search results. You have ideally 140-160 characters to describe your product/service or post to a new reader. If you looked at an A4 page with writing in a single sized font and were asked to describe it in 5 seconds, what will you say? However, if the page has multiple sub-headings, you can get an idea of what to expect from the text. Headers are just as necessary as anything when Google is scourging your pages for information. Headers break information into bite-sized pieces for the analyzer and make it easier to understand that information. The most important is the first header, then the second, and so on. However, you must keep their use in moderation and limit the number of headers. Make sure the first header has the target keyword. The real success lies in the quality of your links. Black-hat SEO experts will tell you that buying a bunch of links is easy. What they don’t tell you is that one link from a high authority site is better than a bunch of useless links from different sites. Google is keeping an eye on your site. If a large number of untrustworthy sites are linking to your website, Google will disregard the importance of your site. Don’t think about building a large number of links because Google may penalize you. Build links through authority sources and enjoy long-term success. The small business is at an advantage compared to large businesses when it comes to local search. A local business will be more trustworthy than a newly introduced large business. More importantly, if you are a physical business running in a local area, by all means, optimize for local search! Technology and algorithms are advancing. It is critical to optimize for local search because a pizza joint near your house will be shown higher as a result compared to a pizza joint in the next state. Make sure Google accurately shows your site when a searcher types your business name or your target keyword from a phone or in Google maps. Use schema.org tags that go in the meta headers. These headers give you an edge over the competitors by providing searchers a quick option when they want to look for a local business. SEO does not happen in a day. It is a never-ending struggle but also a party once you hit the desired results. The tips we have highlighted will give you a head start so you can launch your website without worry. Keep in mind that the tactics and tips will keep changing as time and technology evolves. It can’t be decided today or tomorrow what the future holds for SEO; so, you have to make your best effort for now. For more tips and tricks, read up on this Google guide on using Google Analytics on your site.